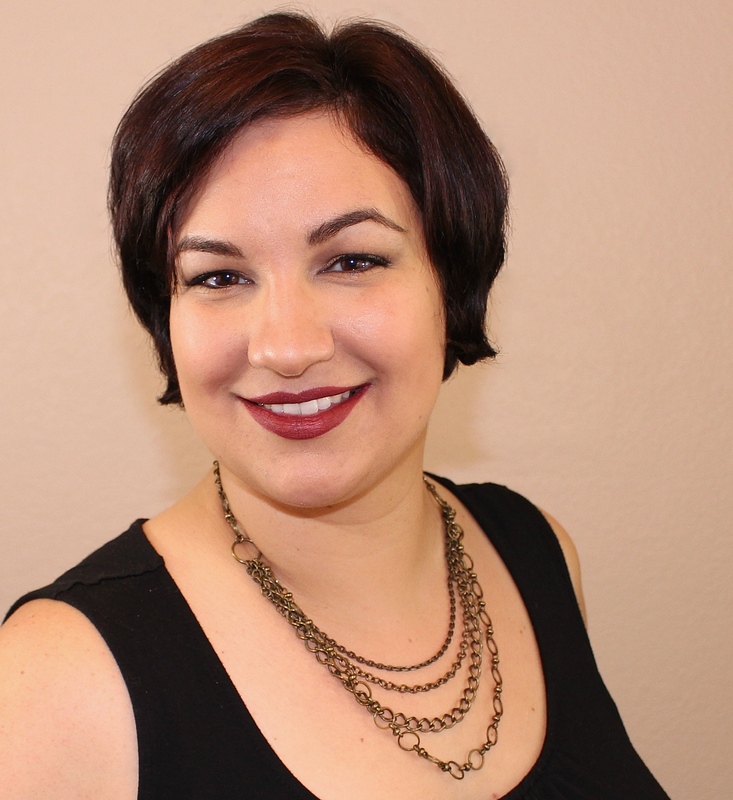 Greetings, dear readers! March is almost over, and that means the opening of the April installment of the Polish Pickup is almost here! Indie brands have been hard at work creating beautiful nail polishes inspired by famous works of art, and the resulting polishes are in and of themselves works of art. 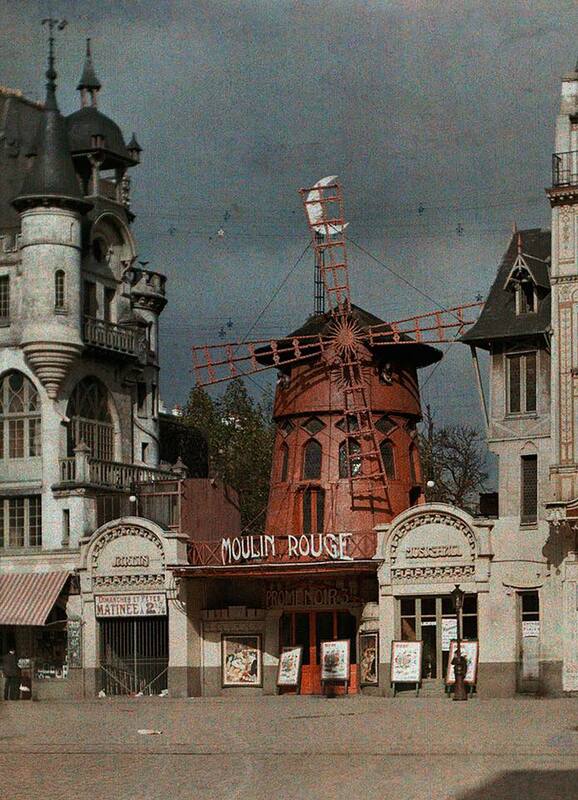 One of the inspirations is this photo of the Moulin Rouge in Paris, commissioned by banker Albert Kahn. In 1909, he was tired of all the greyscale photos and hired four photographers to travel the world and capture the colour utilizing the Autochrome Lumière photography process. This famous photograph was taken in 1914 and was the inspiration used by ellagee polish. Autochrome 1914 is described as a smokey pale blue scattered holo with denim blue shimmer and a variety of red to copper and tiny grey flakes. Let's get a closer look at this polish on my nails! After having such a bad experience with the last polish I used (completed unrelated to today's post! ), I was ecstatic to be using such a fantastic formula on my nails again! Ultra smooth and not too thick or thin, Autochrome 1914 applies effortlessly the nails. I really love how this polish captures the feel of the inspiration photo! I used two coats for full opacity and then added a layer of top coat for these photos. Autochrome 1914 will be available for purchase from the Polish Pickup ONLY starting next Friday, April 5th through Monday, April 8th. Each bottle will retail for $12, and there is no cap to the number of bottles that will be available for purchase. Please keep in mind that all orders made to the Polish Pickup are submitted as a preorder, and shipping takes approximately three weeks. That's so pretty - so much sparkle! This is a beauty and perfect for New Orleans. The amount of shimmers in it create a unique polish. I hadn't thought about that, but I may have to wear it on my trip there next week! Ohhh, now this is a beauty! I love nail polishes like these! Me too! I thought it was pretty in the bottle and loved it even more once I had it on! Hmmm, I like this polish, and I know Autochrome 1914 has red flecks in it, but I expected it to be a red polish to celebrate the photo of the Moulin Rouge in all its colorful glory. While the photo subject was the Moulin Rouge, the concept of this polish is more about capturing the kind of hazy/soft effect of the style of photography as seen in the picture overall rather than just the Moulin Rouge itself. Please do! It is lovely! Interesting to see the inspiration because I wouldn’t understand the polish as is! Cool! It's certainly a fun take on it and more so about the style of the photograph rather than the Moulin Rouge itself. I dig it! I love the inspiration behind this, and the bit of history there. The polish captures that photograph's style so well! Oh wow!!! I love these flakes!!! Gorgeous swatches!! That goes so well with that inspiration! Oh wow this reminds me so much of when ellagee did the Disney Villains collection! Very pretty! The polish is absolutely stunning, although I don't fully get how it was inspired by the photo.